I hope you had a wonderful and relaxing weekend! 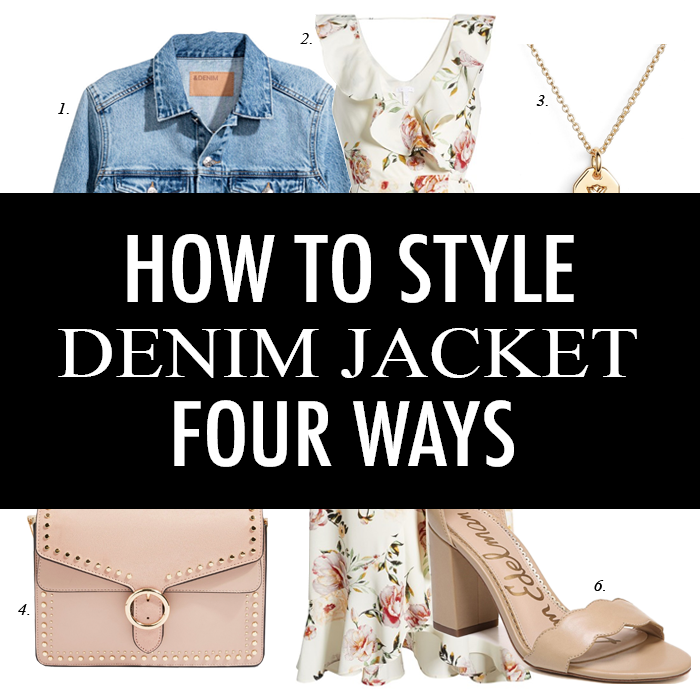 Today, I am sharing four different ways to style a denim jacket. And, as usual a round up of my daily finds and deals! This popular knot front top is 20% off. This fun dress for an extra 40% off. This velvet wrap top on sale for $25. This fun striped dress for an extra 40% off. This "dressy" boucle hoodie sweatshirt on sale. This boyfriend blazer for only $40 - that comes in pink, black and white. This striped blouse on sale for under $20. This pink leather tote for 60% off. These popular spring sandals are back in stock! This cozy fleece on sale! This dotted tote for $11. This popular blush pink watch with silver accents. This chunky spring sweater for 40% off. This new arrival wrap dress. Looking for ideas of what to wear this spring/summer? Check out my inspiration. This is a top pinned outfit. Denim jackets are just so versatile and I love all these looks so much, my favorite is definitely a jacket with a dress for spring. Have a lovely Monday my friend! These are all great! I need to try that combo with the white top + camo jeans since I already have those pieces. And the one with the white henley + black jean is an all time favorite combo I repeat at least twice a year! Love these round-up posts! You can never go wrong with a denim jacket! They're so versatile and will always be in style. 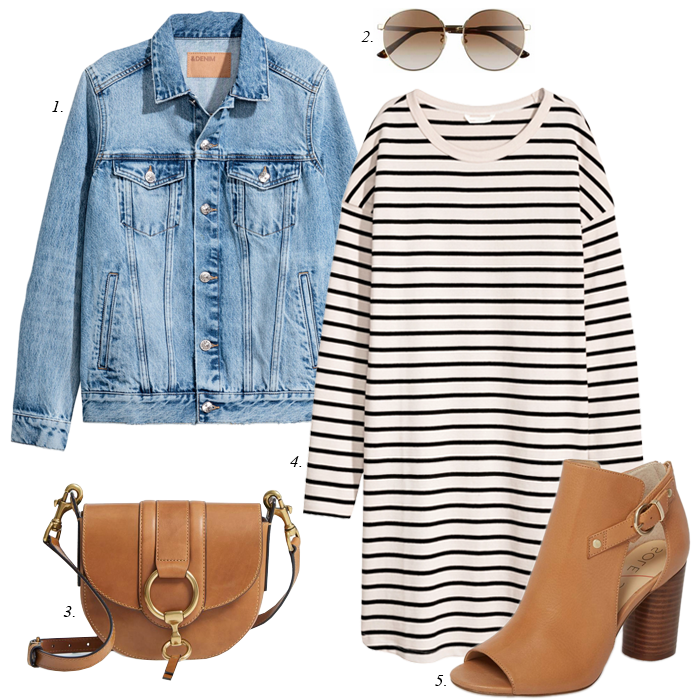 I love all the different ways you style this denim jacket. I just love a denim jacket over a pretty floral dress! There's just something so sweet about it! Can't wait to get my denim jackets out. Love all these options! I need to invest in a better denim jacket. I wear my denim jacket all spring and summer long! I can't wait until it's a little warmer and I can pull it out. These are great outfits and I love that they are with basics that most people already have in their closets! A denim jacket is a must have! I love all of this inspiration! Love it styled with the pretty floral dress!